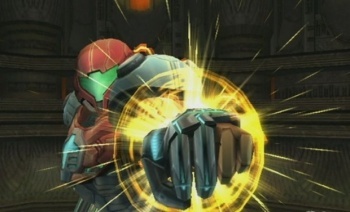 Metroid Prime Studio "Thinks Like Nintendo"
After ten years together, Retro knows the kind of questions that Nintendo is going to ask. Retro Studios, the developer of the Metroid Prime series and Donkey Kong Country game, says that it's been working with - and indeed, for - Nintendo for such a long time, that it's started to think like its Japanese parent company, which in turn makes it much more efficient. Speaking to Edge Magazine, Nintendo's Kensuke Tanabe said that over the ten-year working relationship between Nintendo and Retro Studios - most of which Retro has spent as a first party developer - the Austin, Texas based team had learned the kind of things that Nintendo did and didn't want. Tanabe said that there was still a lot of contact between him and Retro, but that there was less need for explanation and supervision. Retro president Michael Kelbaugh said that the studio's ongoing relationship with Nintendo meant that it had a much better idea of what Nintendo's vision for its games where. This meant that Retro didn't waste its time on things that wouldn't make it into the game it was working on. Tanabe contrasted the ease of working with Retro to the difficultly that Shigeru Miyamoto had working with Rare in the 90s, back when Rare worked exclusively on Nintendo games. "Mr. Miyamoto had contact with the developer, that was his project," Tanabe said. "I don't think that Mr. Miyamoto went over to Rare and did face-to-face visits really, and without email, communication happened by fax, and I think it made it really difficult for him to relay his vision and experiences the same way." It does rather make sense that after ten years, Retro would have an idea of what Nintendo wants out of a project. That said, considering that Retro has worked on two of Nintendo's biggest brands in those ten years, the fact that it doesn't need much in the way of supervision is still pretty impressive.